Here is a place wherein you can sense the past: mist gathering on top of the tombs, cold air enveloping you, and yellow and red flowers are dotting the sides of the road. 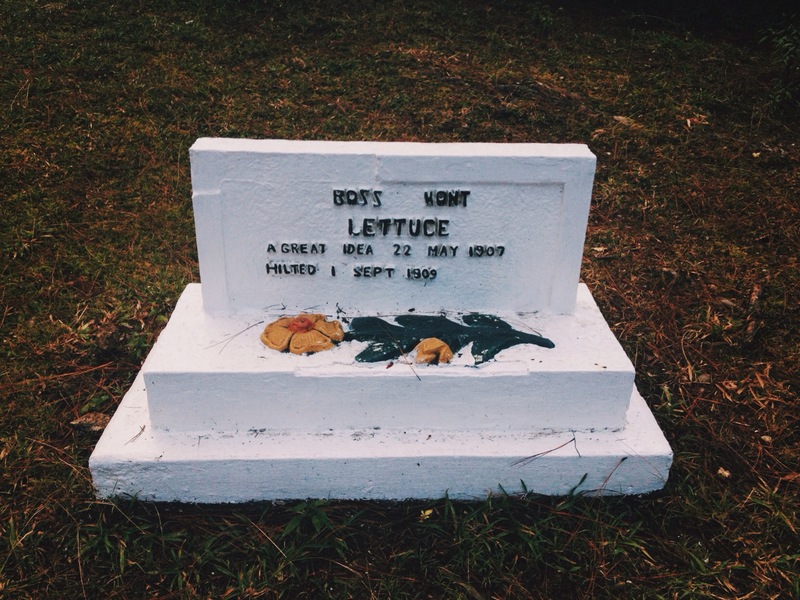 The Cemetery of Negativism may seem like your typical cemetery but it’s unlike any other, because here, people are encouraged to bury negative feelings and thoughts. The cemetery is just a small land area filled with tombstones decorated with animal figures, earning it the name “pet cemetery”. 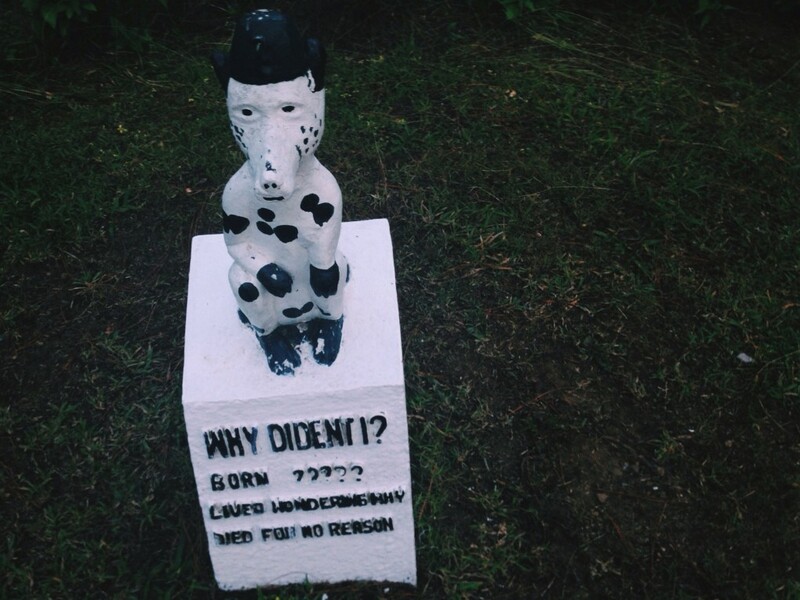 Founded by Major John Hightower, an American who served at Camp John Hay from 1979 to 1982, the cemetery is filled with epitaphs that’s either humorous or saying a thing or two about wisdom. Major Hightower believes that negative thoughts hinder a soldier’s potential so he set up this cemetery to help them develop a habit of unloading their burdens; even holding mock funerals to make it more convincing. Much of the tombs have already faded throughout the years but when we visited, it looks inviting as the tombs have been repainted –all looking clean and new. If you were to visit, what would you bury? 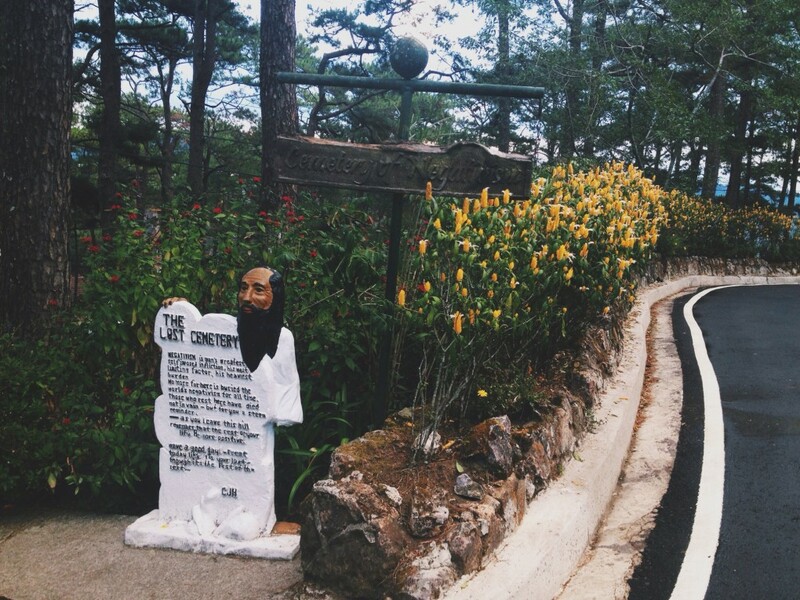 The cemetery is situated inside Camp John Hay in Baguio, near the Hotel Manor and Tree Top Adventure. Trivia: This cemetery was used as a film location for the TV series, Forevermore. We’ve been here, and it’s a beautiful place for relaxation. Actually, we went all around the Historical Core. Heheh! yep, I agree. 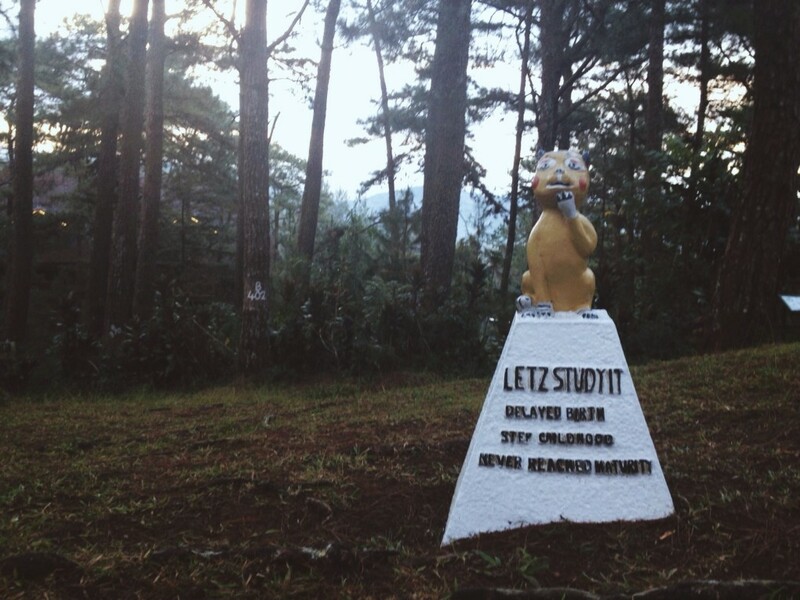 As for us, we went there to see the film location of Forevermore. haha! Hehe! We went there to relax after a very tiring climb up Mt. Pulag via the most difficult trail. Hahaha! wow, Mt. Pulag might remain to be just a dream for me. Mountain climbing is very challenging and fulfilling kaso para kong hihikain konti pa lang! lol I’ve tried Mt. Batulao and Mt. Pinatubo though. Aww! I miss this place! The first time we went here was more or less 10 years ago and the second one was more recent but it was dark and it was getting creepy in camp john hay with the fog all around. All I can think back then was silent hill. I bet it’s creepy at night due to the surrounding trees and atmosphere.